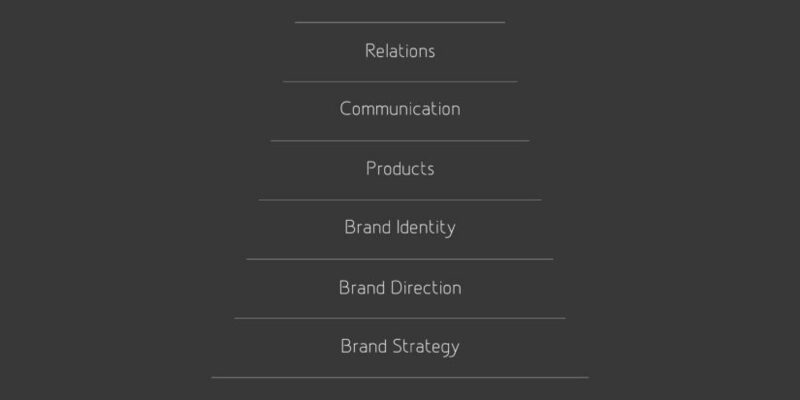 Building a brand is like a pyramid: the foundations need to be solid before starting the next level. Here a step by step the levels you need to complete. Your brand strategy is to study and know your market and your customers. It is defining key assets that will reveal your brand DNA and define the steps and approach to reach your business goals. Your brand direction defines how to express the the brand DNA and strategy through key visual and written elements that create a framework for your brand universe. Your brand Identity represents the essence of what you stand for. It is an iconic and recognisable signature that with a few elements create a unique demarcation from any other business. Your communication is how you consistently apply the direction and design elements to your marketing strategy. It is how you build familiarity and trust with your customers.